Physical activity is beneficial for both primary and secondary prevention of most chronic diseases. This is particularly true with relation to cardiovascular disease. Initiation and maintenance of regular physical activity has been demonstrated to positively impact the control of blood pressure, lipids, blood sugars, weight gain, and overall cardiovascular risk. The challenge lies in finding effective methods to promote physical activity with patients as well as in helping them to sustain such behaviors across the lifespan. Numerous barriers exist that inhibit physicians and the healthcare system from participating in prescribing physical activity for their patients despite the known benefits. This article examines strategies to assist patients in improving levels of physical activity and discusses the barriers to implementation. Carrie Jaworski and Michael Ladewski have no conflict of interest. Eckel RH, Jakicic JM, Ard JD, et al. 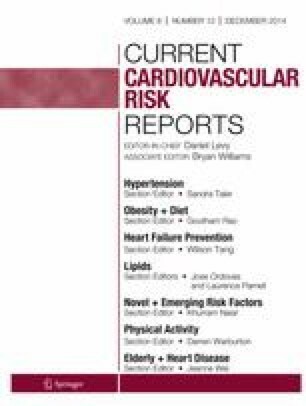 AHA/ACC guideline on lifestyle management to reduce cardiovascular risk: a report of the American College of Cardiology/American Heart Association Task Force on Practice Guidelines. Circulation.2013. Epub ahead of print November 12, 2013, doi: 10.1161/01.cir.0000437740.48606.d1; [cited 2013 December 11]. Available from: http://circ.ahajournals.org/content/early/2013/11/11/01.cir.0000437740.48606.d1.citation. Grøntved A, Pan A, Mekary RA, et al. Muscle-strengthening and conditioning activities and risk of type 2 diabetes: a prospective study in two cohorts of US women. PLoS Med. 2014. doi: 10.1371/journal.pmed.1001587; [cited 2014 January 15]. Available from: http://www.plosmedicine.org/article/info%3Adoi%2 F10.1371%2Fjournal.pmed.1001587.